As the park’s namesake, Juan Rodriguez Cabrillo led the first European expedition to explore what is now the west coast of the United States. Cabrillo departed from the port of Navidad, Mexico, on June 27, 1542. Three months later he arrived at "a very good enclosed port," which is known today as San Diego Bay. Historians believe he anchored his flagship, the San Salvador, on Point Loma's east shore near Cabrillo National Monument. Cabrillo later died during the expedition, but his crew pushed on, possibly as far north as Oregon, before thrashing winter storms forced them to back to Mexico. Cabrillo National Monument, established in 1913, commemorates Juan Rodriguez Cabrillo's voyage of discovery. A heroic statue of Cabrillo looks out over the bay that he first sailed into on September 28, 1542. At the Visitor Center, the film "In Search of Cabrillo" and an exhibit hall present Cabrillo's life and times. Ranger-led programs about Cabrillo are usually available on weekends and on many weekdays during summer months. When visitors pass through the entrance gate to Cabrillo National Monument they are on the ‘monument’ that is Cabrillo National Monument, and in a national park. 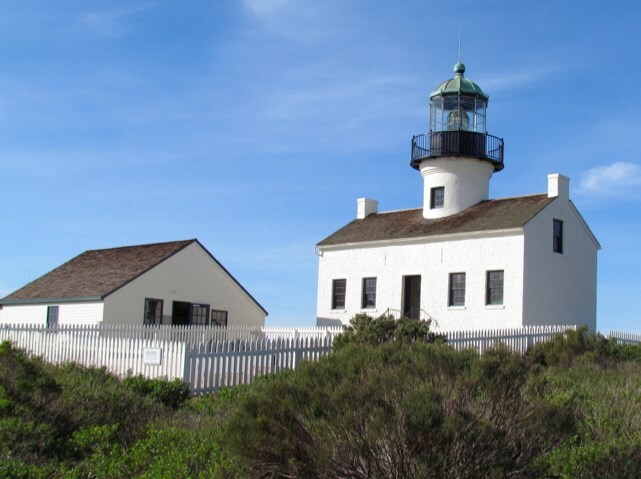 Although the Old Point Loma Lighthouse is now one of the main draws for visitors to CNM, its very existence was once questioned and it was neglected and threatened with demolition at different times in its history. The southern end of Cabrillo is one of the best-protected and easily accessible rocky intertidal areas in southern California. The word “intertidal” refers to the unique ecosystem that lies between the high and low tides along the shore. Tidepools are depressions where water is trapped during low tides, forming small pools that provide habitat for numerous plants, invertebrates, and fish. These depressions are formed over geologic time through a combination of biological, physical, and chemical processes. Although the whole rocky intertidal is often referred to as the “tidepool area,” it is important to note that shelves and boulder fields surround the pools, and these also provide a great habitat for the multitude of organisms that call this zone home. For many people, visiting the tidepools is the only direct experience they have with marine ecosystems. Cabrillo National Monument is an extremely popular destination for tourists, and it is estimated that more than 215,000 people visit the tidepools annually. Compared to sandy beaches, the diversity of life in the rocky intertidal is impressive. People go to the beach to swim, sunbathe, or surf, but they come to the tidepools to explore, experience, and learn. As of January 1st, 2019 the Cabrillo National Monument daily vehicle pass is $20; daily person pass $10; daily motorcycle pass $15; and annual pass $35. Monday, Nov. 11 – Veterans Day.